“Storage Almost Full” – a sight that sends a chill down the spine of iPhone users worldwide on a sadly regular basis. Fast forward two hours, having painstakingly gone through your files and removed the ones that you can (just) afford to live without, you’ve finally managed to get the message to disappear. Even then you live in the fear that just one message from that WhatsApp group you muted 2 years ago – but are still too afraid to exit – could leave you teetering on the brink of media incapacity. Fast forward another two hours and you take one photo of a funny sign – ironically to send to the people in that aforementioned WhatsApp group – promoting the return of the dreaded “Storage Almost Full” message, swiftly followed up by the back-hand slap of “iCloud Back-up failed” with a prompt to upgrade your storage. This isn’t life people. If you have a phone or tablet with a memory card expansion slot, there is a way to easily address this issue, but iPhone & iPad users have long been left in the lurch in this regard, with the memory upgrade the digital equivalent of brain surgery in its complexity. So what to do? 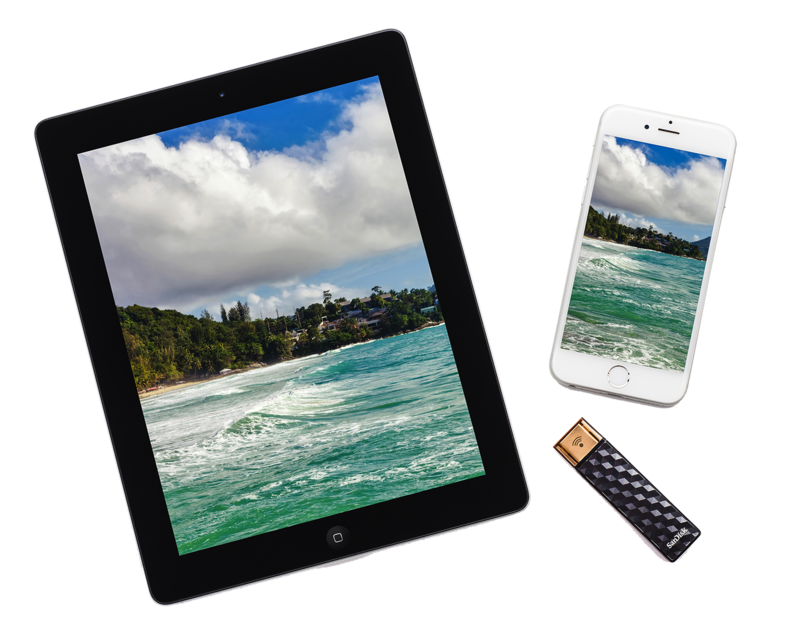 Fear not, SanDisk have long been masters of the memory realm, and they have created a wireless USB memory stick that allows you to remotely store data from any mobile device (with Bluetooth). 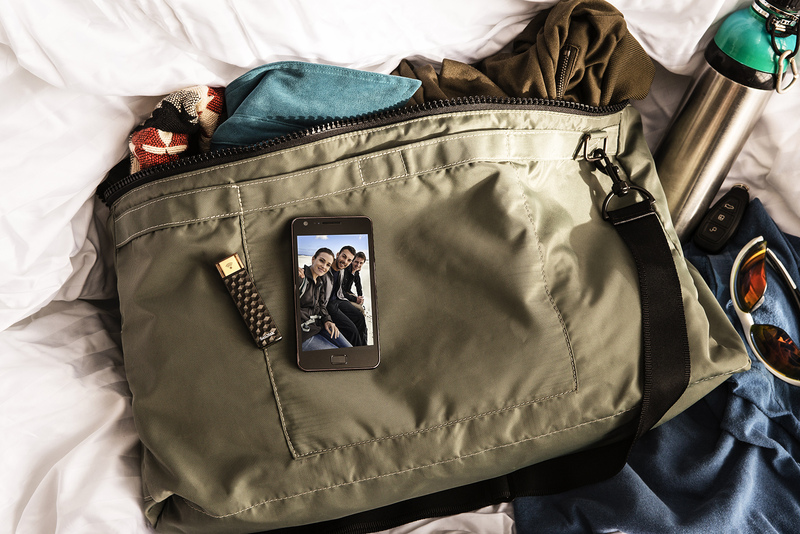 Once you install the SanDisk Connect app on your mobile device, you can upload, download, save, share and play all your stuff from a distance, to and from the device you want to use. The app can be set to automatically copy photos and videos from your camera roll to the drive when the drive is connected. You can also stream music, data or videos to three smartphones, tablets or computers at the same time as long as they’re somewhere nearby. 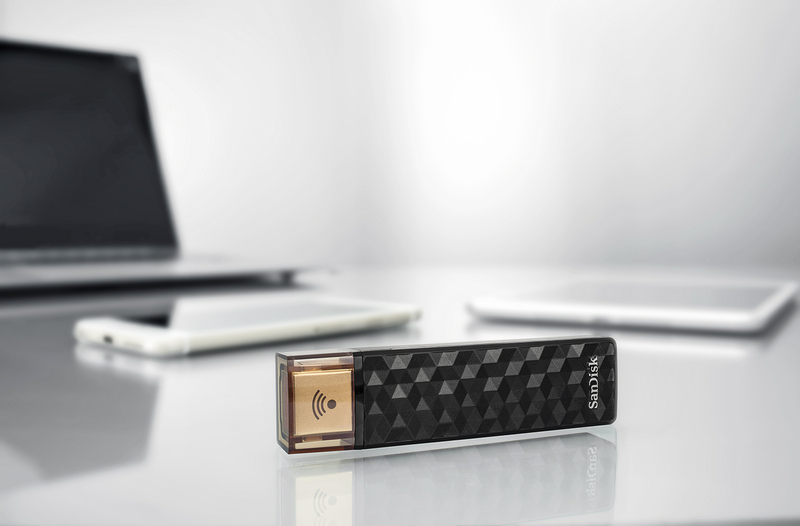 Memory options ranging 16GB-256GB and prices starting from less than £20, make the SanDisk Connect Wireless a no-brainer addition for any mobile user.